With the theme of "Green Development & Creative Interconnection" and the philosophy of integrating resources, an industry continually mixing and green sharing an important issue, EVEXPO2018 is committed to building a conference to discuss and debate vehicles, charging pile, electricity, manufacturing, parking vehicles, the internet six and how this relates to the whole industrial chain ecosystem. 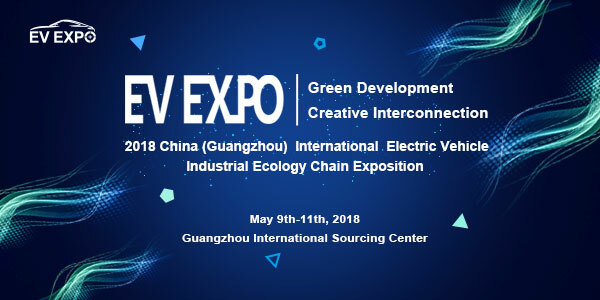 EVEXPO will also focus upon on new products and technologies in related areas of electric vehicles, manufacturing technology and equipment, power batteries, charging facilities, intelligent parking and internet vehicles. During the exhibition, the themes of policy, market, technology and capital will be covered and the thematic forum of Global Electric Vehicle Leadership Summit will also be concurrently held. Related speeches will be delivered by thought leaders, renowned professionals and scholars in relevant ministries. This will include industry affiliated cooperation for the conference, key technology seminars, product promotion and networking. By means of the above activity, the conference provide an unmatched platform to discuss the bright future for electric vehicles industry, shape the debate from opinion leaders and explore resolutions for industrial reform and technical innovation. China Southern Power Grid Media Co., Ltd.
Guangzhou Judian Exhibition Co., Ltd.